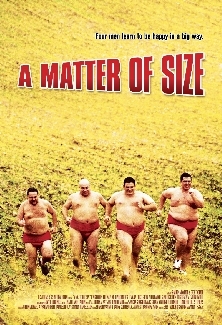 Event Details : Screening of the film 'A Matter of Size'. A group of fat people from the Israeli city of Ramla is fed up with the sanctity of diets and the 'Dictatorship of the Thinness' of the diet workshop they participate in. They leave it and discover the world of sumo, where fat people like them are honored and appreciated. Herzl, an obese guy, falls in love with the Sumo world and wants Kitano to be the Sumo coach of his obese friends that gave up their diet.